Comment: Add egress windows in 2 basement bedrooms. Comment: I would like to get an estimate for Project Info Task Name: New Window - Single Nature of Project New Window(s) - Installation Number of Windows 1 Is this an emergency? No Request Stage Ready to Hire Desired Completion Date 1 - 2 weeks Preferred Contact Time: Cell Text Notification: No Detailed Description: Customer did not provide additional comments. Please contact the customer to discuss the details of this project. 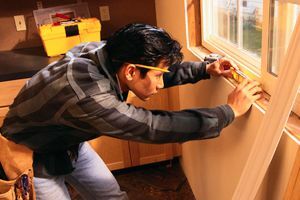 Denver Window Replacement Companies are rated 4.72 out of 5 based on 2,684 reviews of 122 pros. Not Looking for Windows Contractors in Denver, CO?